Today is Julie from This Gal Cooks birthday. In celebration, she has invited a group of amazing ladies to create a party all about pumpkin. This delicious fall cake recipe is my contribution. It is simple and sinful. Hope you enjoy. Happy Birthday, Julie!!!! 1. In large bowl, beat all cake ingredients together on medium speed for 2 minutes. 2. Pour into greased 9x13 inch pan. Bake at 350 degrees for 25-30 minutes. 3. Poke holes into the top of cake while still warm with large fork or handle of wooden spoon. 4. 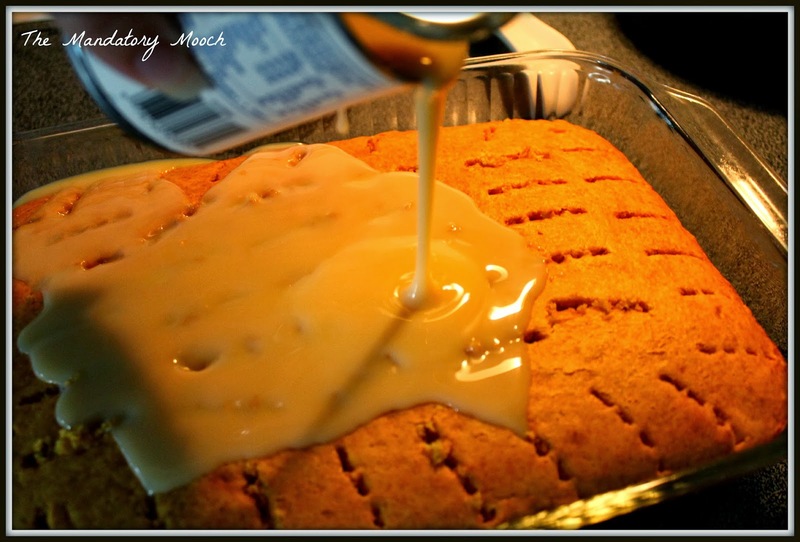 Pour sweetened condensed milk over cake. 6. For topping, mix pumpkin pie spice into whipped topping. Spread carefully over cake. 7. Sprinkle with toffee and pecans. Gently press into whipped topping mixture. 8. Store in refrigerator until serving. **I have also substituted a can of cream cheese frosting for the whipped topping. This looks amazing, Nichi! 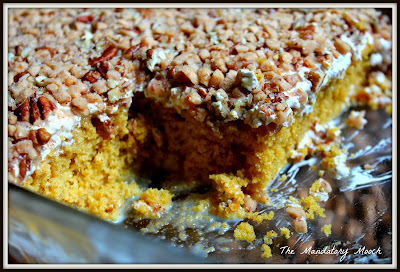 I love the combination of the toffee and the pumpkin! I wish I had a slice of this right now! Thank you for making this for my birthday celebration! Hope you have a great day! I love pumpkin anything. Thanks for the new recipe! I have never made a poke cake, but this will be the first one I try! I just love the toffee! Love the topping on your cake, Nichi! Pumpkin and Toffee, sounds delicious Nichi! Hi Nichi! The flavors sounds amazing and I like how you made it a poke cake! I'm sure Julie loved it - pinned! Pumpkin and toffee together?? 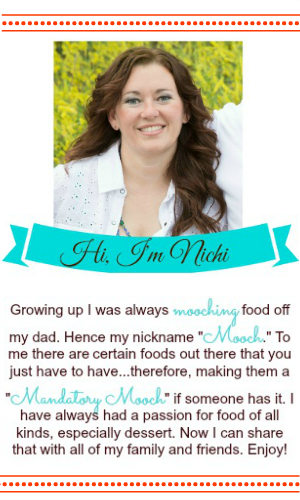 Now that truly sounds ridiculously good, Nichi! Pinning! 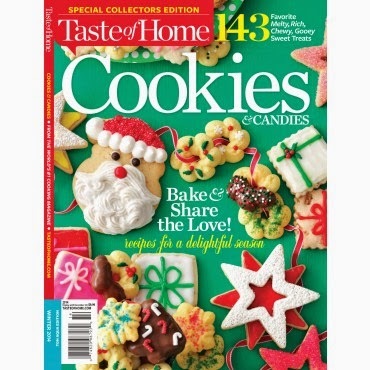 A great collection of Pumpkin goodies, perfect for fall fun! Thank you so much for sharing with Full Plate Thursday, and have a great weekend. 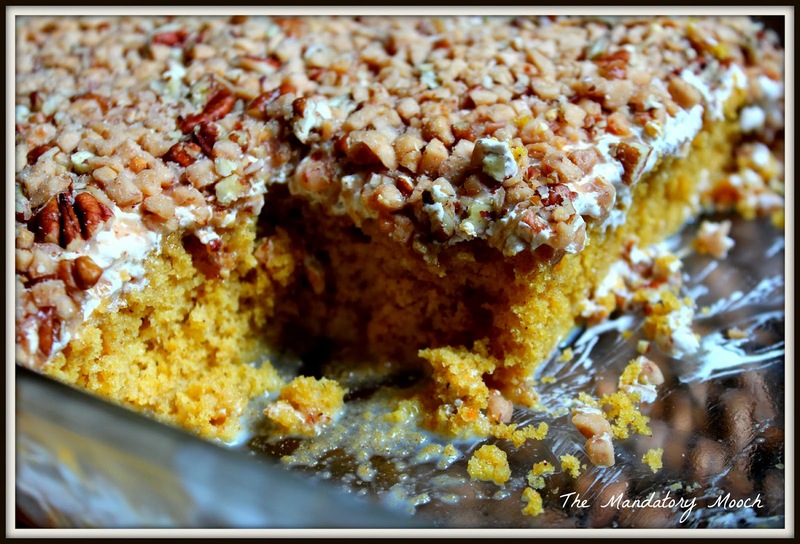 Such a great collection of Pumpkin recipes! Yours looks delicious! 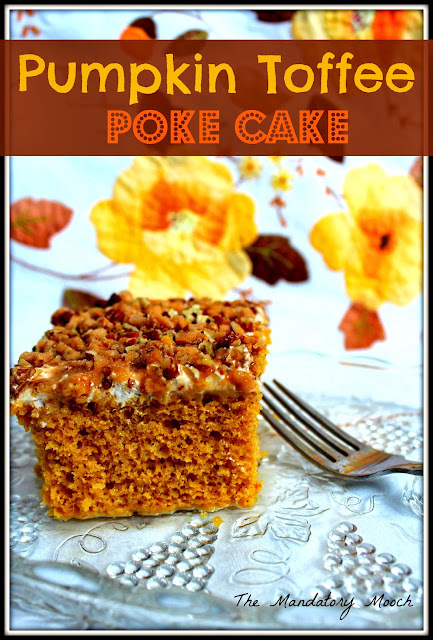 There are NO words that can explain just how delicious this poke cake looks! 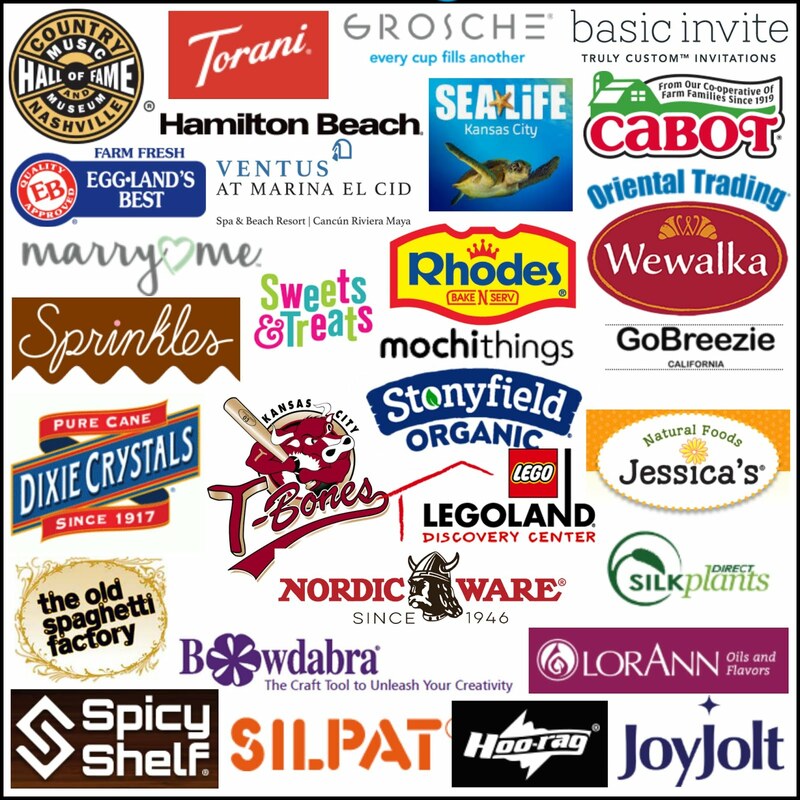 Thanks for joining this weeks Creative K Kids' Tasty Tuesday. I look forward to seeing what you share next week! There's nothing like a good poke cake, and yours looks scrumptious! Thank you for bringing your perfectly fall and delicious dessert to Fiesta Friday! Happy FF! Oh yummy! Thanks for sharing at the Inspiration Spotlight party @DearCreatives Pinned & sharing.